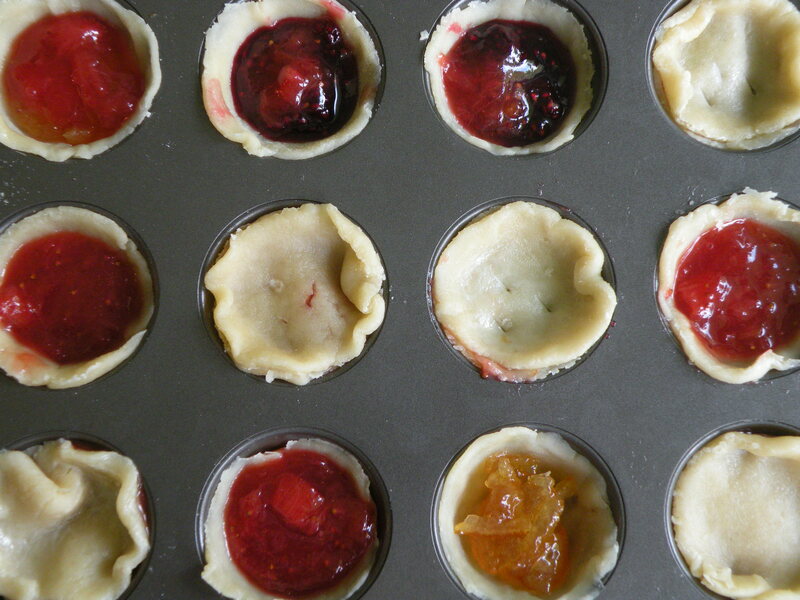 Orange marmalade, strawberry, orange and rhubarb, raspberry and lemon tartelettes. We have had a week of amazing sunshine. To celebrate, dandelion flowers have put on their best colours and are gleaming under clear sky. 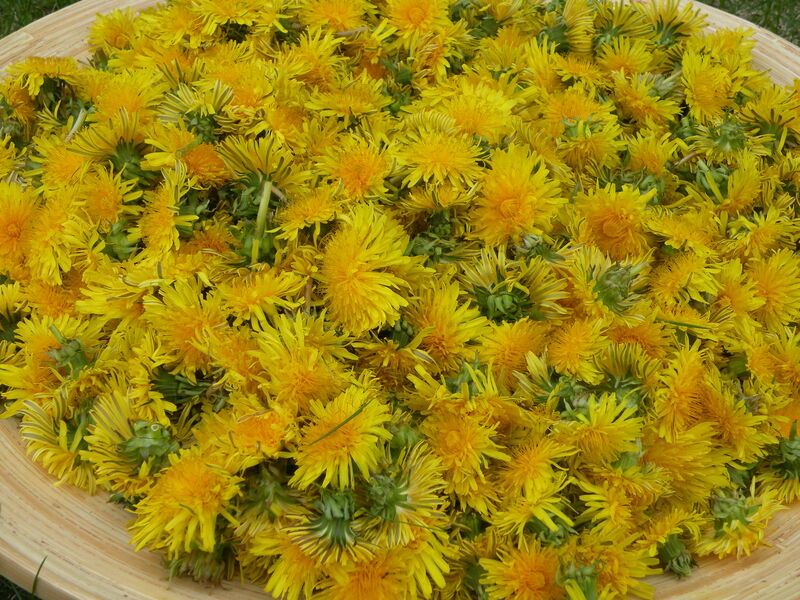 We never have too many dandelion flowers at Le Meadow’s, for each batch of dandelion flower jelly, we need 365 flowers, and one batch makes 5 jars. 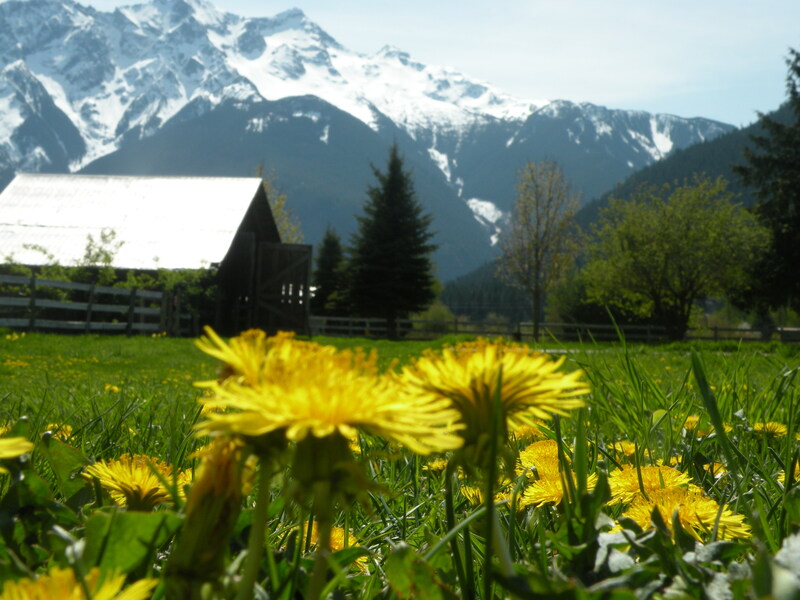 Dandelion jelly or cramaillote originated in France. Each spring, thousands of dandelions are turned into a golden jelly and are sold at farmer’s market around the country. Dandelion jelly has a rich amber colour with a pleasant taste reminiscent of honey. We don’t need to add any additional flavour to complement the cramaillote, dandelion flowers bring enough character and depth on their own. Dandelion jelly is delicious on a thick slice of rustic potato bread with fresh butter. It also pairs well with goat’s cheeses, soft or hard. 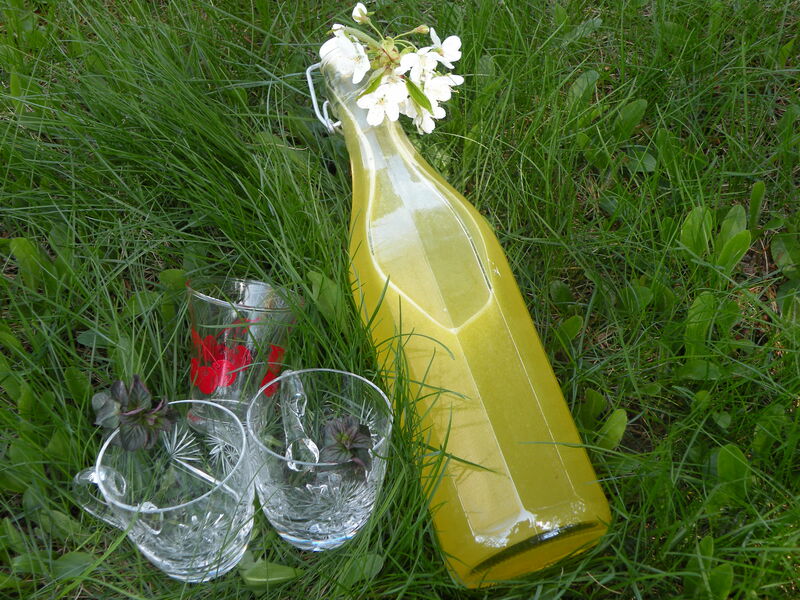 While gathering our sun hats and wicker basket to harvest the dandelion flowers, we shall not forget to bring a bottle of freshly made soda with a handcrafted fruit syrup. Here’s my favourite recipe to a perfect picnic. 1. Scrub and zest the oranges. Juice them to equal 2 cups juice. Remove any seeds. 2. In a non reactive large saucepan, place the orange zest and their juice, sugar, water, and lemon juice. Bring to a boil over medium-high heat, reduce the heat, cover, and cook for 20 minutes. 3. Remove from the heat, add mint and infuse for 2 hours. 5. Pour the mixture into a jar or bottle and let cool. Keeps in airtight container in the fridge for 10 days and 6 months in the freezer. To use: Two tablespoons mixed in a large glass of bubbly water, chilled or over ice. 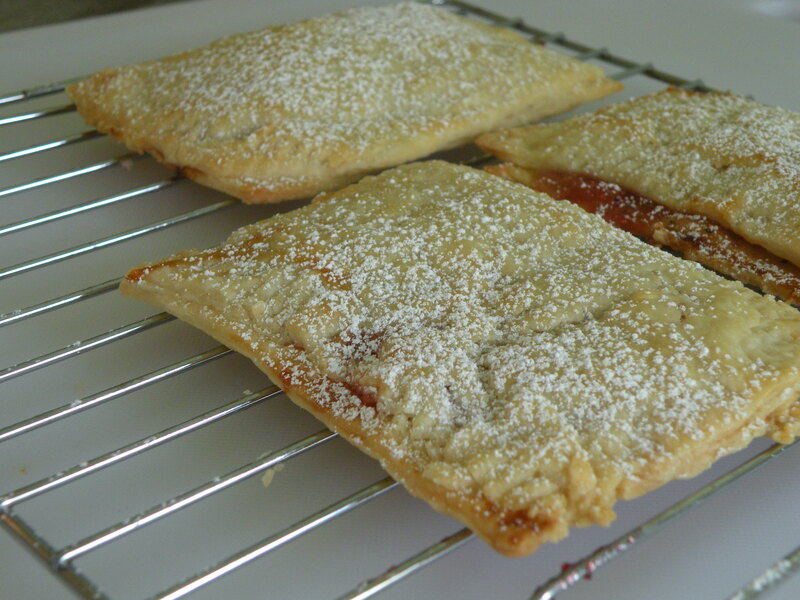 Why not stop by and try our Cramaillote at the Shipyards Friday Night Market in North-Vancouver? 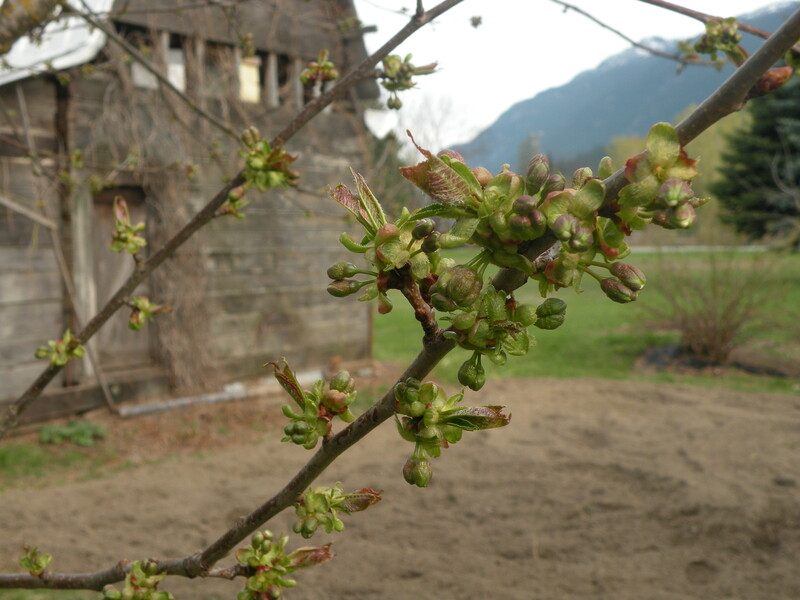 The strong force of the wind brought spring at Le Meadow’s Pantry. 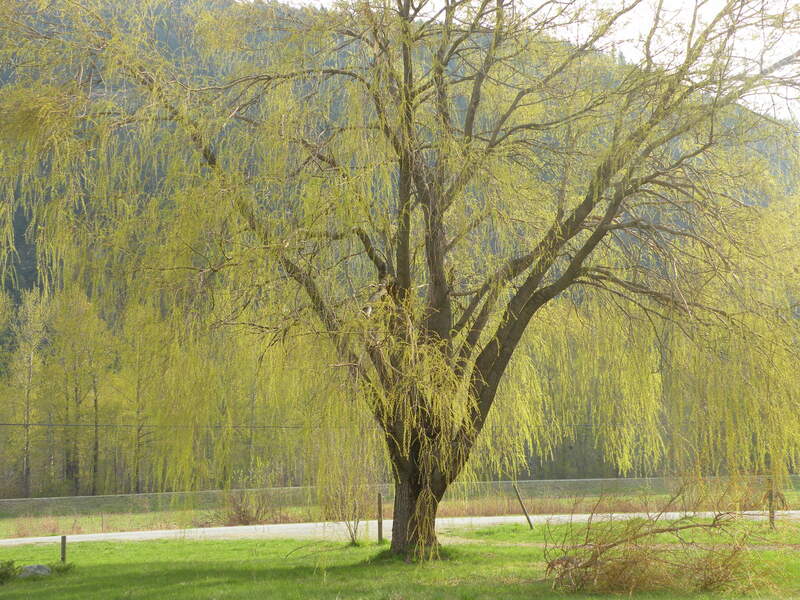 It took down a big branch on our willow tree. 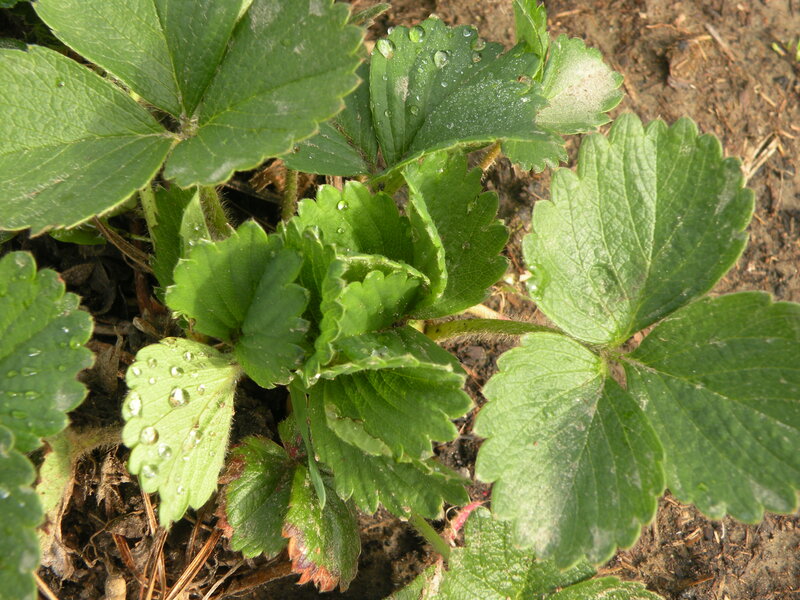 The strawberry plants are warming up under the morning sun. 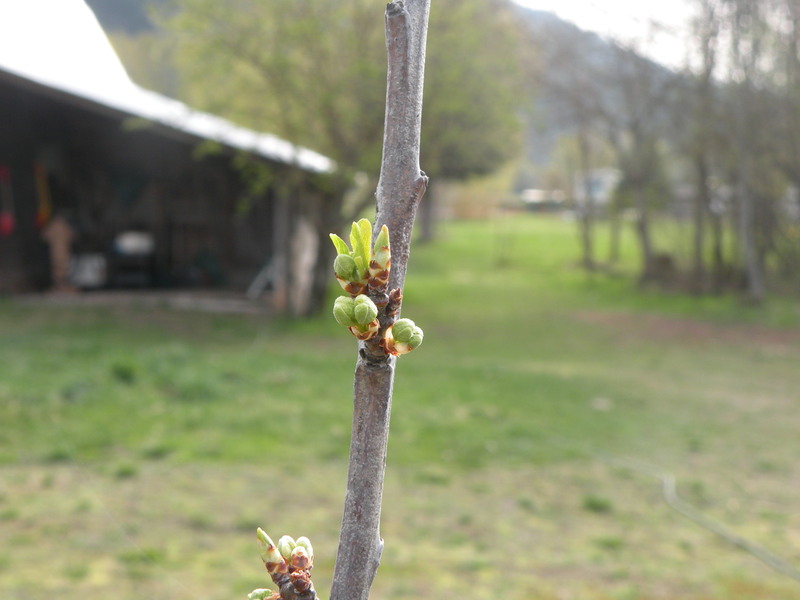 The plum trees are slowly showing their buds. 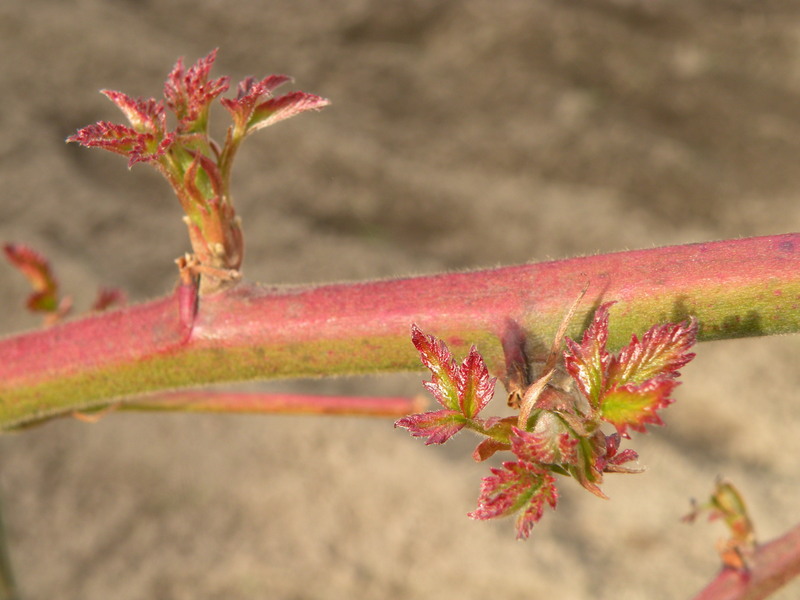 We can’t wait to cook the rhubarb with the wild roses that grows around the farm. 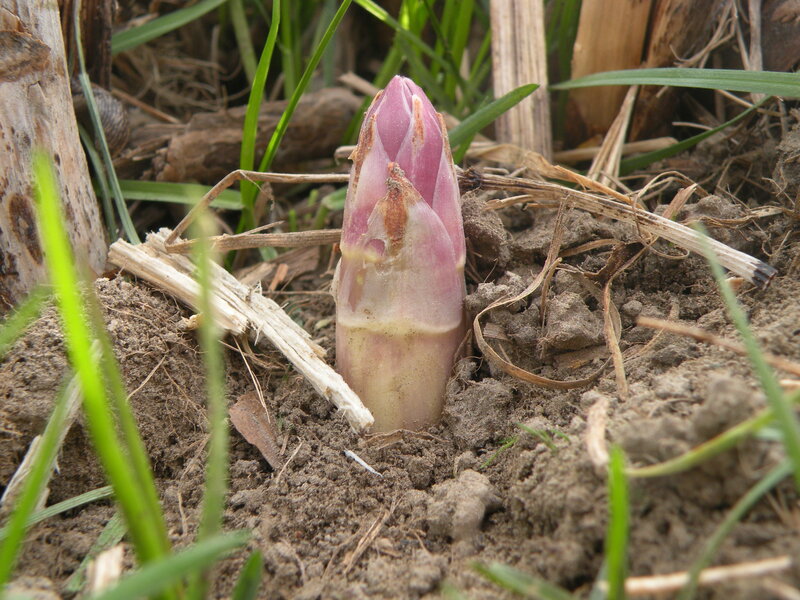 Asparagus are piercing through the ground! Juicy and sweet, they will be cherish. Sweet with an earthy taste, they will make the perfect jelly. 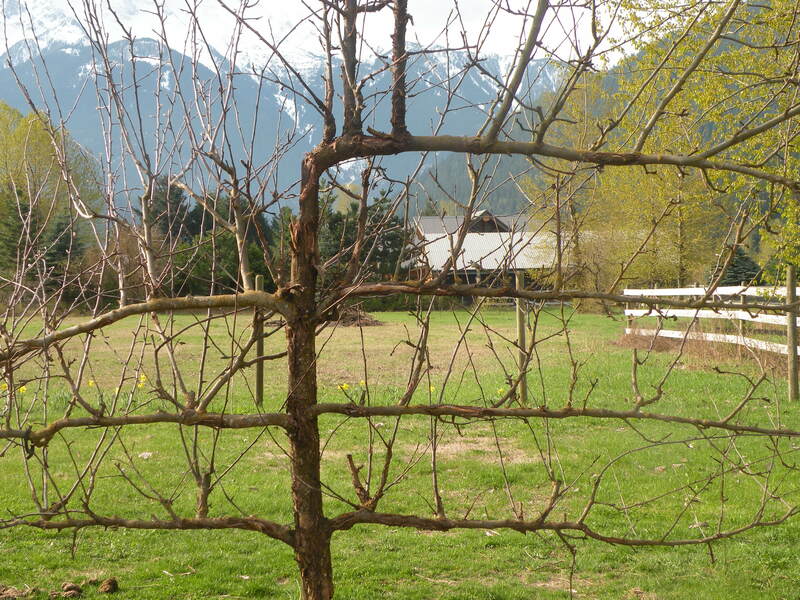 Our beautiful espalier apple tree has survived the bears . 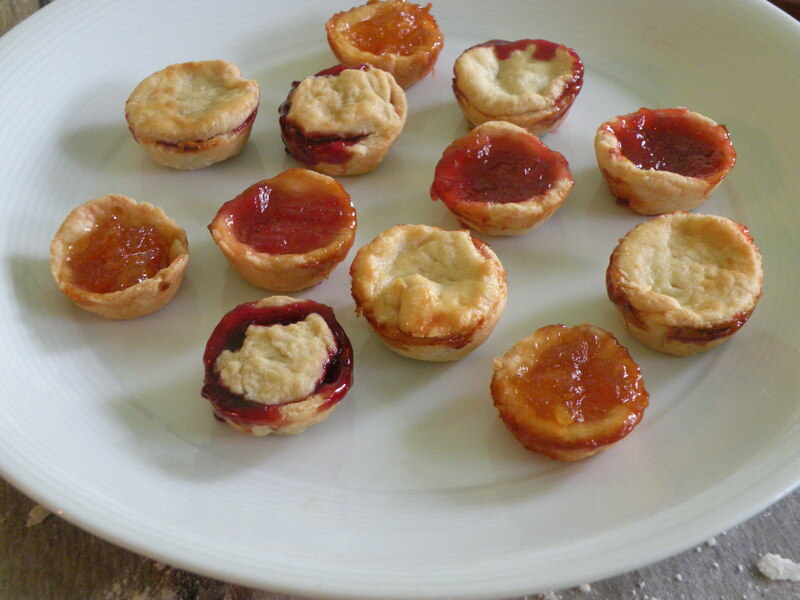 With their yellow and light pink blush, these cherries make the perfect peach and cherry jam! Who can resist a perfectly ripe raspberry ? 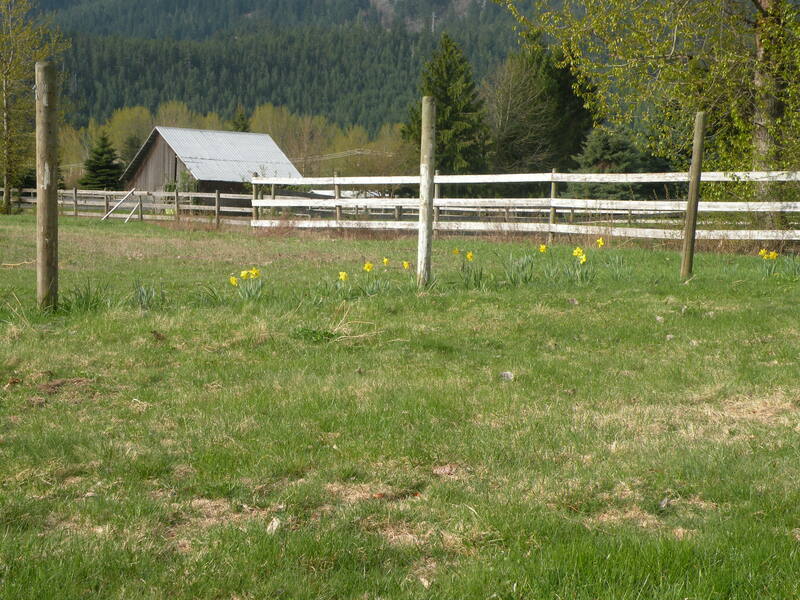 Daffodils are shining all over the Meadow’s Pantry. The Meyer lemon is famous for its juicy, lovely sweet orange-lemon flavourful pulp and incomparable perfume. Rounder than conventional lemon, it has a smooth, thin yellow rind that deepens to orange-yellow as it ripens and it is almost seedless. The fruits expert David Karp tells us that the Meyer lemon (C.x meyeri) was introduced to the United States by another plant explorer, Frank Meyer who discovered the tree growing in pots near Peking in 1908. At that time, lemons were indigenous to India and exotic and scarce in China. Recently a researcher at the University of California at Riverside have determined that the Meyer lemon is a hybrid and that its female parent is almost certainly a sweet orange, and the male a lemon or citron. Every part of the lemon can be use in cuisine. The fragrant skin contains valuable oils that add flavours to drinks, and every kind of dessert. A meyer lemon is different from a regular lemon. If you are using a Meyer lemon you will use it first for it’s perfume, sweetness and subtlety of it. Yet, when you taste it, you may want to add a touch of regular lemon to give it a little more depth. The Meyer lemon’s complex, almost floral flavour and aroma combine happily with grapefruit, honey, lemon, lime, orange, vanilla, thyme, bay leaf and mint. 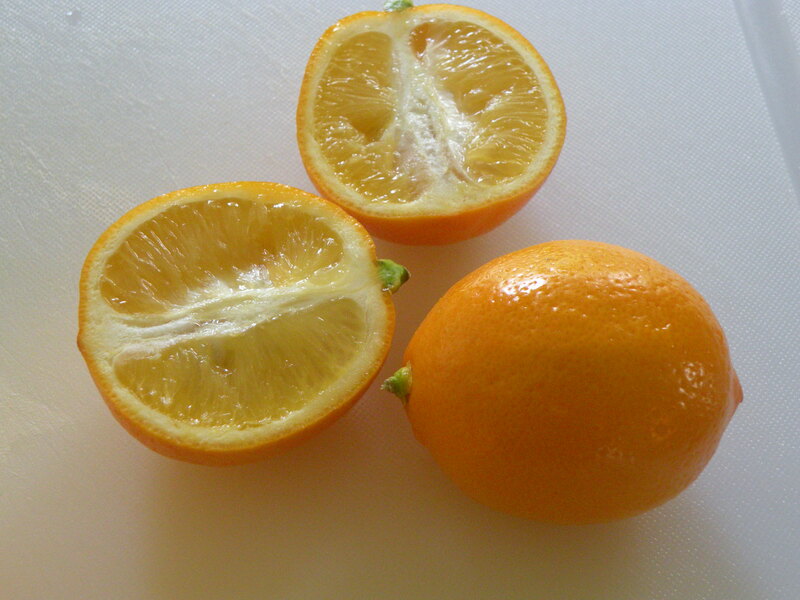 Meyer lemons are usually grown in California but are becoming more widely available. They are perishable and are not in the market for long during the winter months. 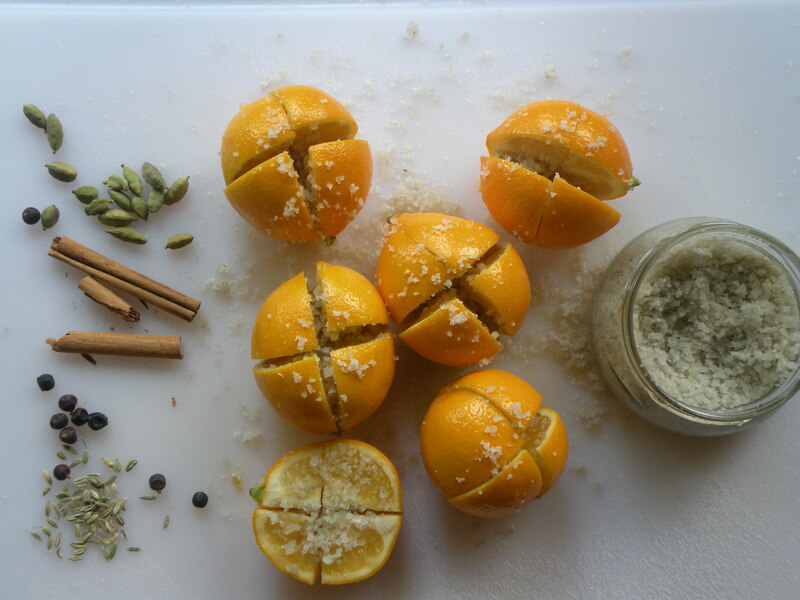 The beauty of preserving Meyer lemons is that it gives you a way to enjoy them year-round. Preserved lemons are common in Moroccan dishes but their complex, bright flavour and aroma enliven all kinds of soups, stews, salads and drinks. cinnamon stick, cloves, saffron, fennel seeds and coriander seeds. 1.Scrub the lemons with a vegetable brush and dry them off. 2.Quarter the lemons starting at the top to within 1/2-inch of the bottom, making a big X shape into the lemon but have the bottom still attached. 3.Sprinkle salt on the exposed flesh of each lemon and then reshape the fruit. 4.Place 1 tablespoon salt on the bottom of a sterilized one-pint mason jar. 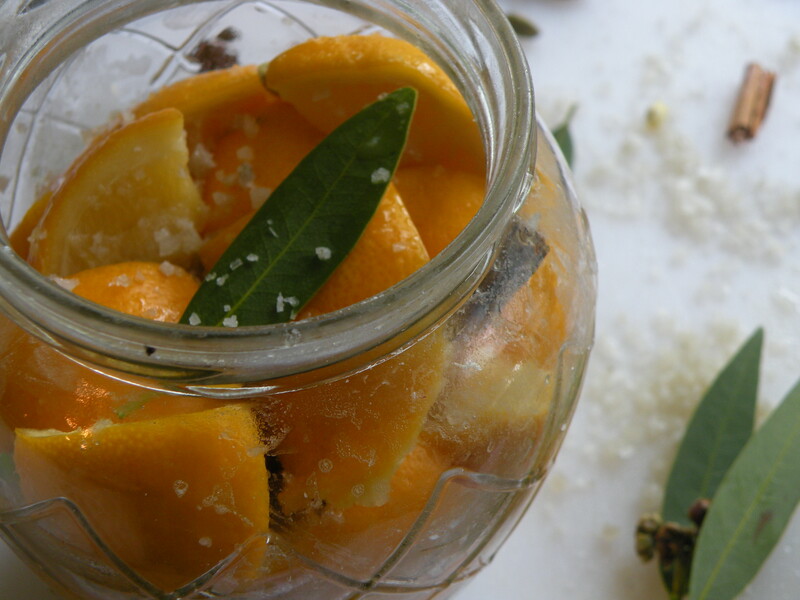 Place the salt-filled lemons in the jar and push them down, adding more salt. Press down the lemons to release their juices and to make room for the remaining lemons. (If the juice released from the squashed lemon does not cover them, add freshly squeezed lemon juice). If you are using spices, add them as you layer the lemons. 5.Leave some air space at the top of the jar before sealing. Cover and let stand over night. The next day, press the lemon down again to release more juice. The lemons should be completely submerged with juice. If they are not, add some freshly squeezed lemon juice until they are covered. 6. Let the lemons ripen for 30 days at room temperature, shaking the jar every other day to distribute the salt and juice. After 4 or 5 weeks they are ready and can be store in the refrigerator. After 6 months they taste even better. 4. To use, you may rinse the lemons as needed under running water to remove the excess salt. Cut the lemon in half and scrape the pulp. The pulp can be used in drinks. Chopped the remaining peel and use as a condiment for grilled meat, fish and vegetables, lamb tagine and chicken. Once you start using them, they soon become a necessity in a myriad of dishes ! 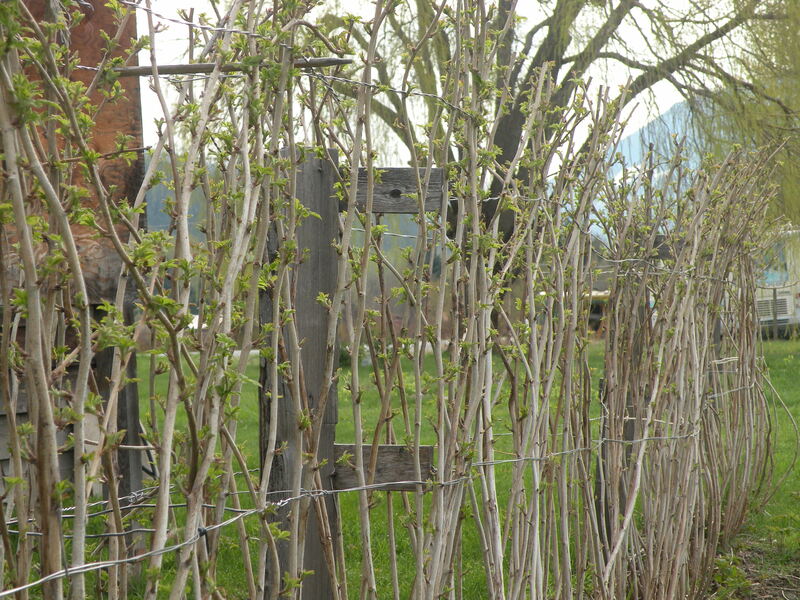 The preserved lemons keep, refrigerated , for up to 1 year. Do you have a favourite recipe for Meyer Lemon? 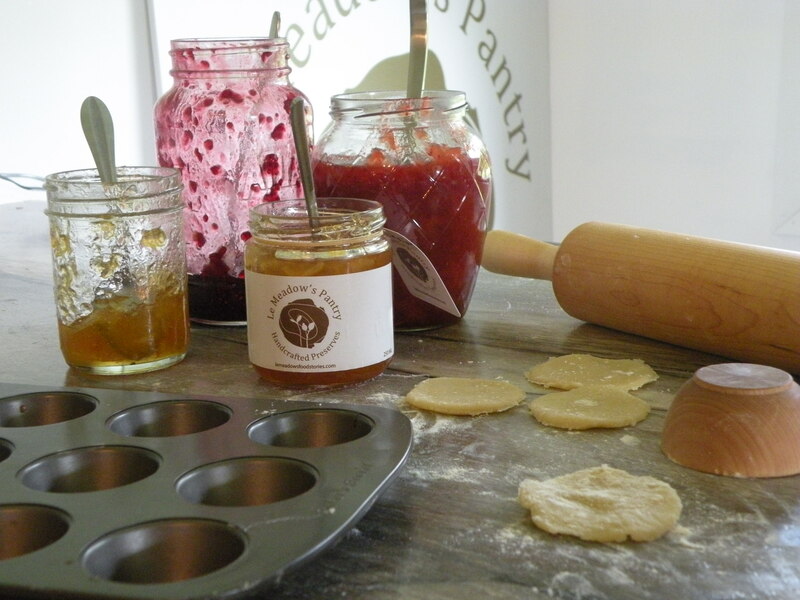 At Le Meadow’s Pantry we make an awesome marmalade with Meyer lemon and lemon verbena and we call it Sunshine in a Jar.. It will be available soon at the farmer’s market! 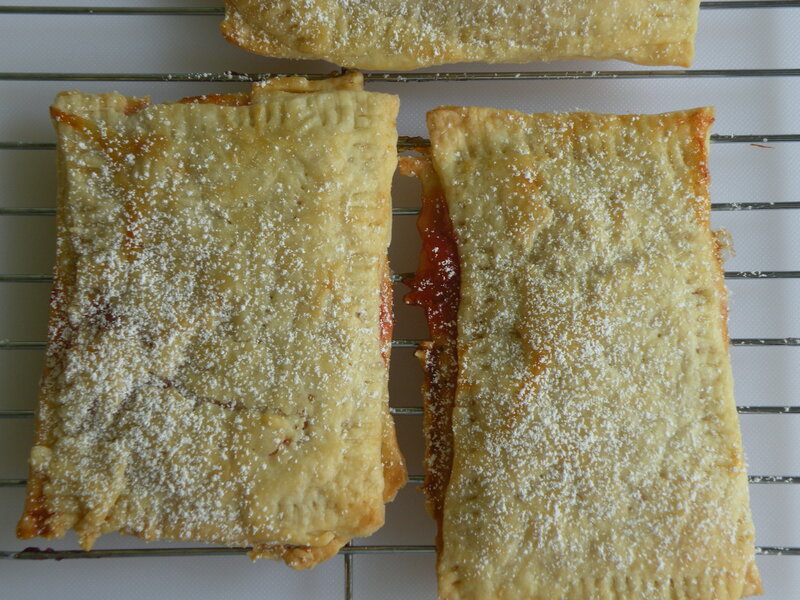 Rhubarb compote is one of the great classics. When the rhubarb is cook long enough to soften, but not too long to turn into purée, the flavours blend harmoniously while the natural acidity of the fruit fades away. The compote should have some pieces left with a dark pink hue. 1. In a large non reactive sauce pan, mix together the rhubarb, sugar, lemon rind and juice from the lemon. Let stand at room temperature until the rhubarb releases some juice, about one hour. 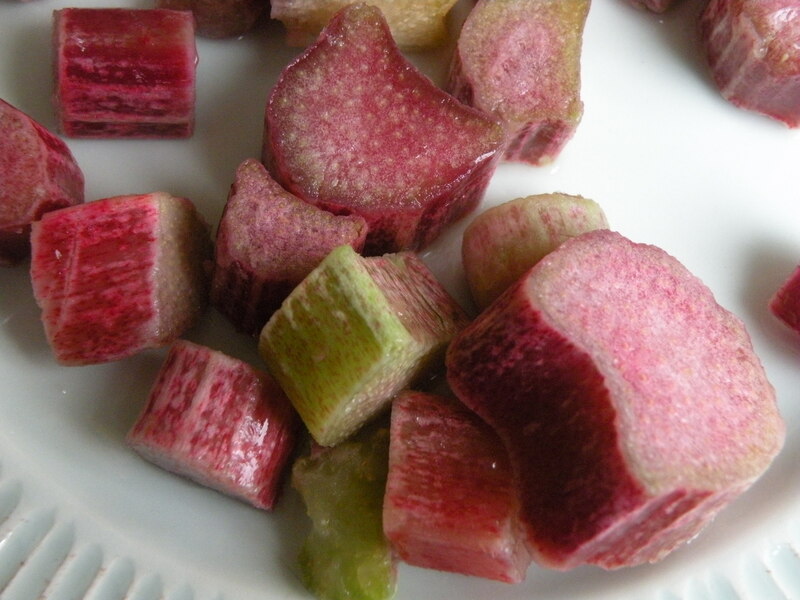 2.Bring the rhubarb mixture to a boil over medium heat, stirring frequently. Reduce heat, simmer, stirring gently until rhubarb is soft and some whole pieces remain, about 10- 15 minutes. 3. Remove from heat and cool completely before serving. Ginger, orange, angelica, vanilla, cardamom and mint are the traditional flavorings for rhubarb, especially in jam-making. If you want to experiment with one of them, simply add it to the sauce pan at the start of the cooking time. 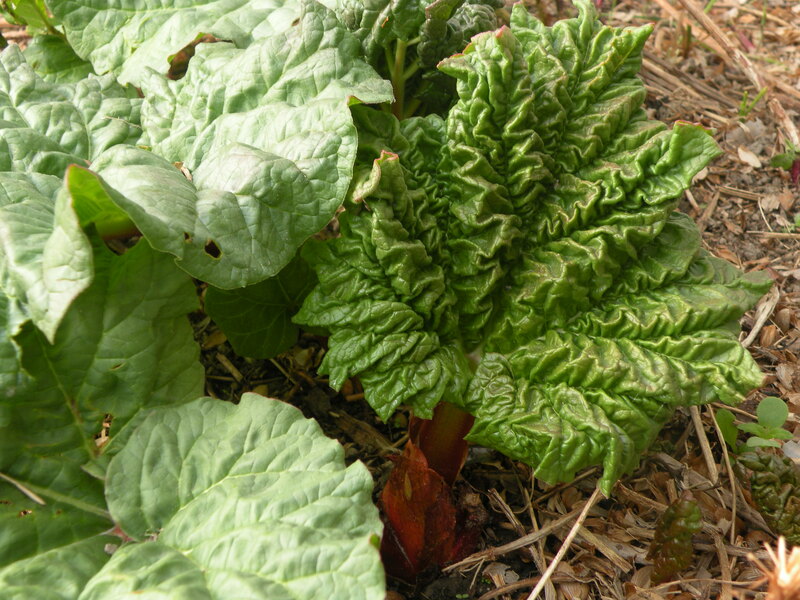 The scarlet rhubarb with its large wavy-edged leaves is a vegetable, though it is usually eaten as a fruit. 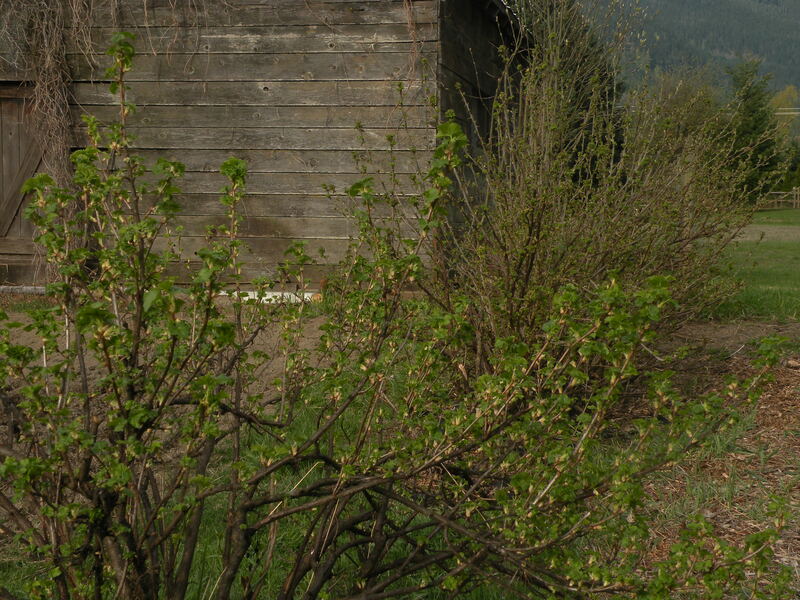 Wild rhubarb is native to Asia and rhubarb root has remained a prized medicinal herb for thousands of years. Rhubarb is one of the first vegetables to sprout in the spring bringing the traditional rhubarb pie, but it was not until the early 1800s that rhubarb recipes began to appear in cookbooks. Only the stalks are eaten. 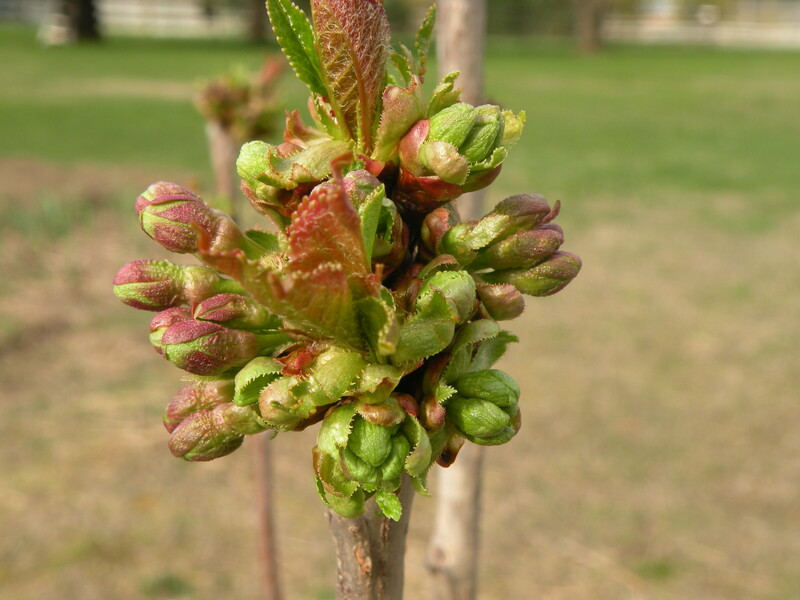 The leaves have been associated with cases of poisoning due to their high concentration of oxalic acid, and must not be eaten. 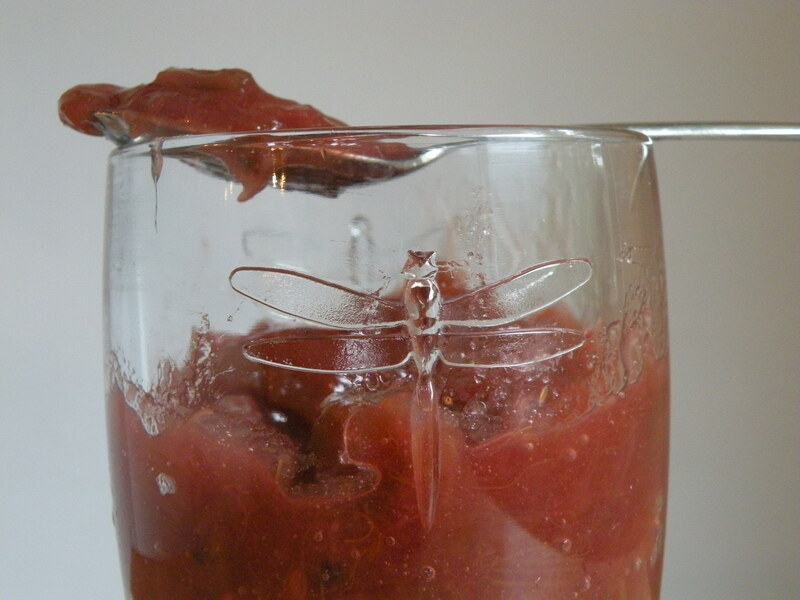 How do you eat your rhubarb compote?